This week, I’m doing a little extra cooking. 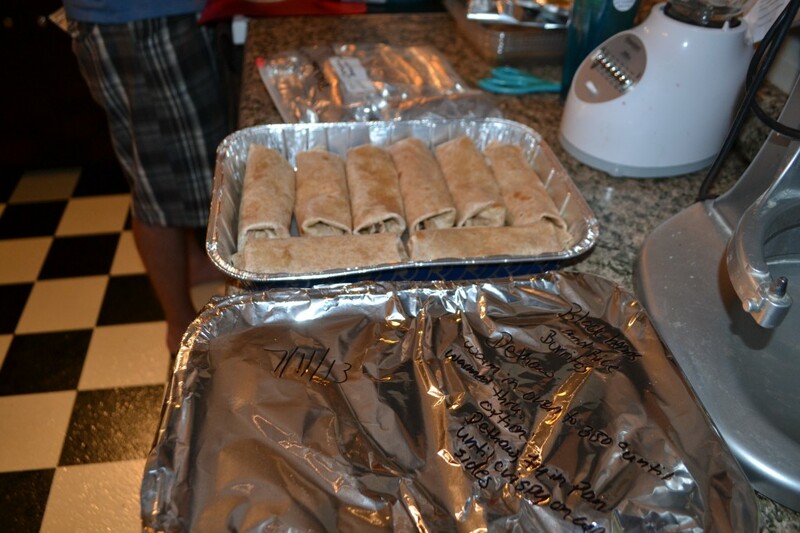 I set aside one evening to make extra burritos to stalk my freezer for easy and simple meals this fall. While I can’t set aside an entire day to Once a Month Cooking, I can triple batch one recipe. And this my friends, is the recipe to make extra batches of. It’s versatile and delicious, you can pre-package individual portions or create a meal with extra helpings with a larger container. 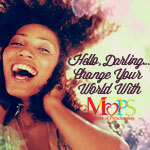 Enjoy the photos and the recipe! I cut back on the portions so you can make it for a family of 4. 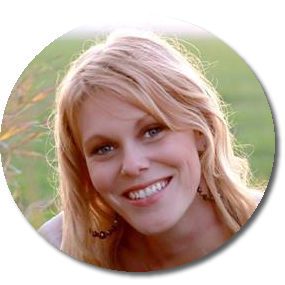 Slice and dice your favorite veggies or what ever happens to be growing in your garden. Cook your rice according to package directions. Add the beans and mix it up! Set up an assembly line with your rice & beans, veggies, salsa, and avocado dip. 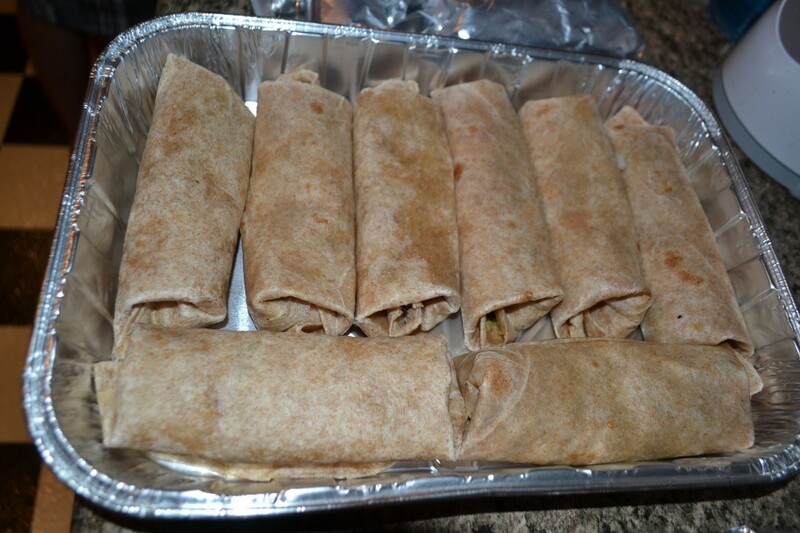 28 burritos ready to go. 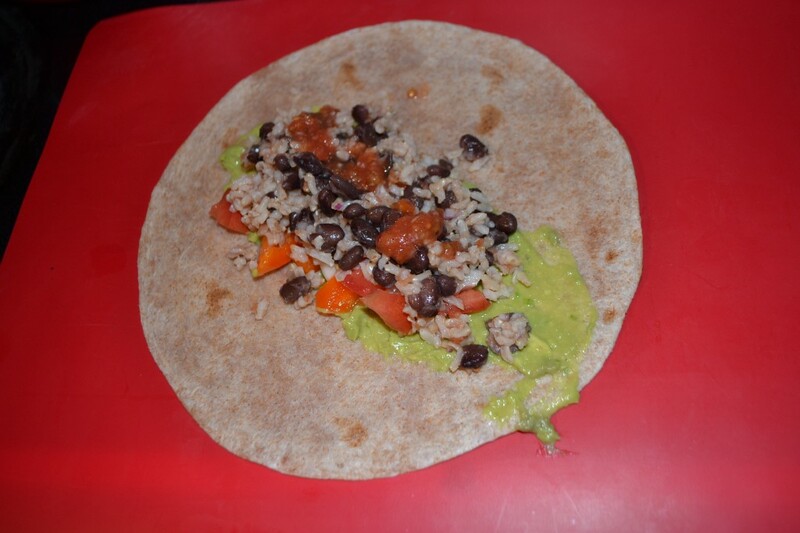 Mexican dish full of black beans, brown rice and salsa. A great snack to take on the go or freeze for those hectic days. This is a recipe in which you can add anything to. 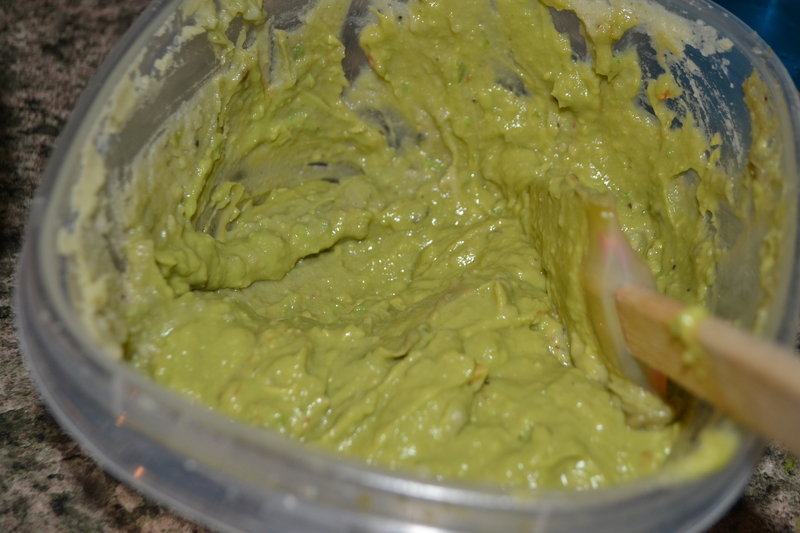 Add your favorite veggies, salsa or avocado dip. Meanwhile, heat oil in a large saucepan over medium. 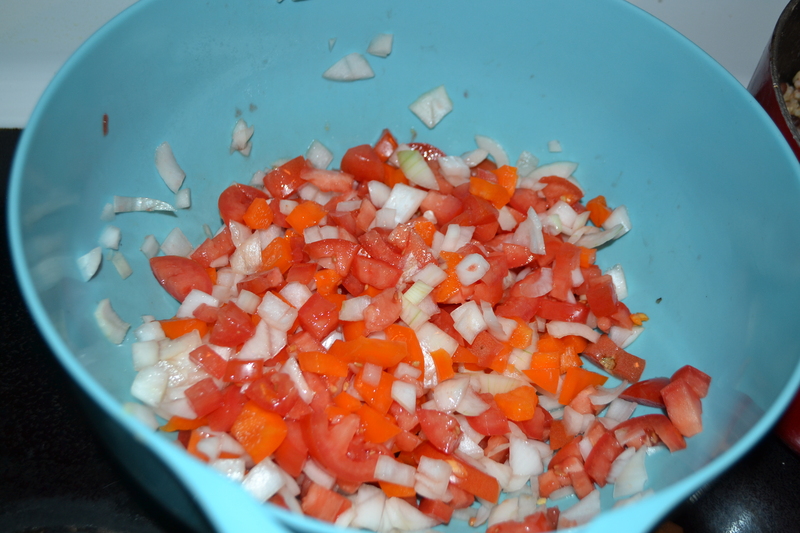 Add onions, garlic, jalapeno, and cumin; season with salt and pepper. Cook, stirring occasionally, until golden, 10 to 12 minutes. Add tomatos, and cook, stirring, 1 minute. 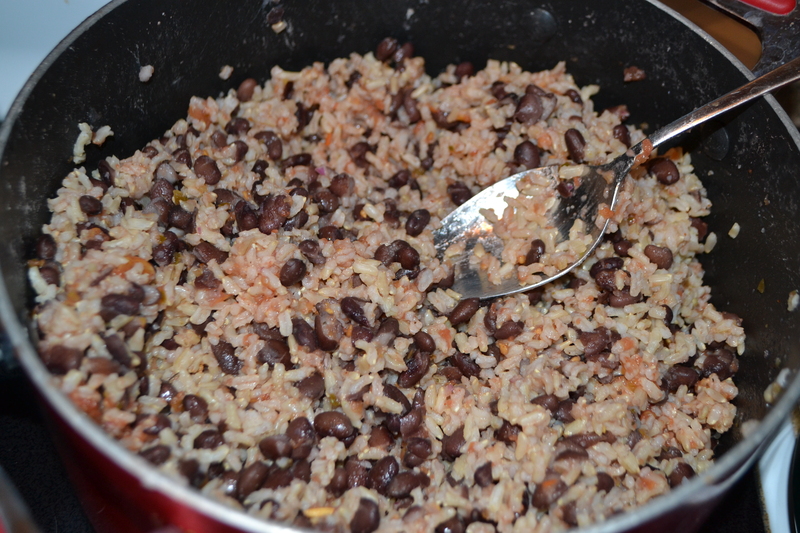 Lay torritalls flat and fill with rice, bean mixture, and salsa (if preferred). 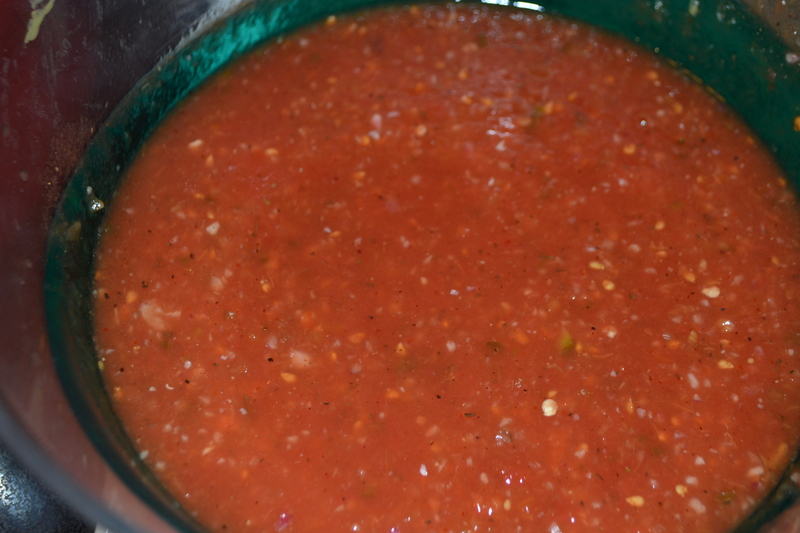 Mound 1/4 cup rice, 3/4 cup bean mixture, dip or salsa and fold sides, and hold them in. Starting from filled end, holding sides in as you work, tightly roll into a bundle. 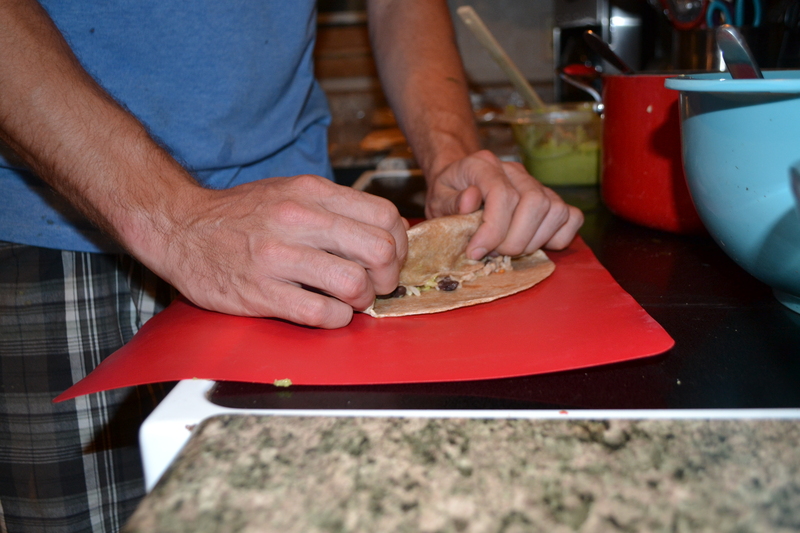 Place on a baking sheet, seam side down, and prepare remaining burritos. Place on a baking sheet; bake at 450 degrees for 20 to 25 minutes. Serve immediately or wrap per freezing instructions. Place burritos in a freezer container. If you don't plan to eat these within 2 months, wrap each burrito in syran wrap and then foil. This is the best way to prevent freezer burn taste.